About - West Milton Cider Co.
After lots of experimentation we are now delighted with our bottles of Lancombe Rising, a fully keeved and bottle conditioned cider that finishes with a full bodied medium flavour and a light refreshing sparkle. Our other ciders are Dorset Starlight – medium and Dorset Twilight -dry , both available in bottles and draught form, these are traditional full flavoured still ciders. Dorset Moonlight is a medium pasteurised and lightly carbonated cider available only in bottles. 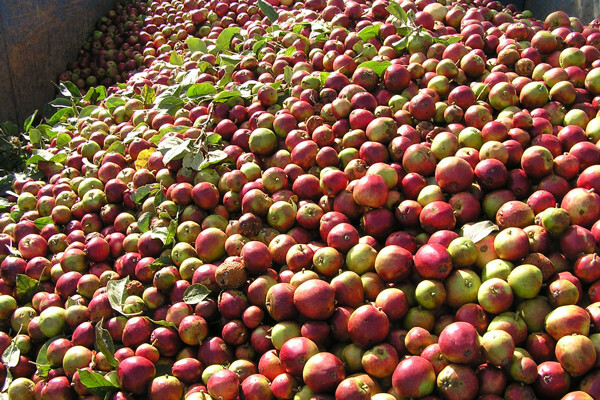 We also produce a sweet cider – Dorset Sunrise only available in bibs, 10 and 20 litre. All of our cider is produced through slow natural fermentation with no added sulphites or other chemicals. We start with good quality cider apples from our own and our neighbour’s orchards here in West Dorset, using a blend including Dabinett’s, Yarlington Mill and Chisel Jersey’s. We use 100% of the juice, pressed out in our cider shed at Lancombe Cross, West Milton. After a long slow fermentation which locks in all those delicious natural flavours and colours, the cider is presented for your enjoyment. We also produce a delicious natural apple juice selecting the best quality dessert and cooking apples including Early Windsors, James Grieve, Falstaff. 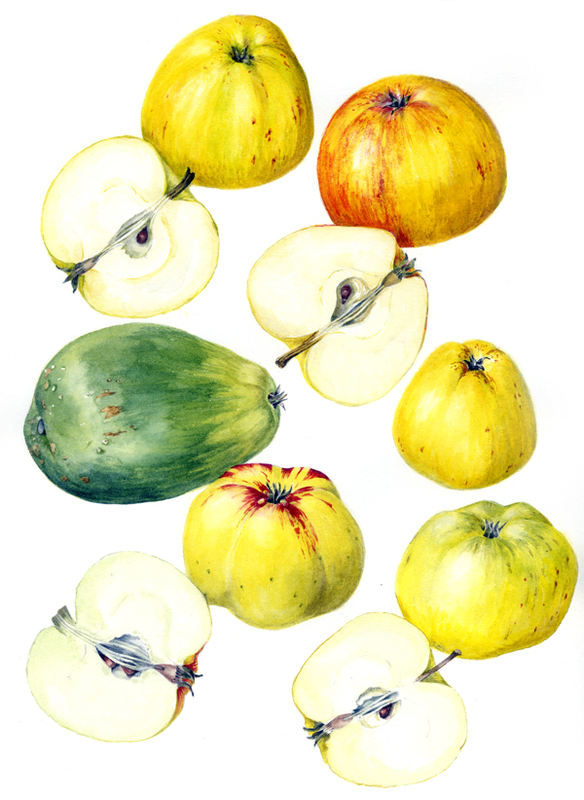 Thanks to Liz Copas for the apple illustrations and photography on this site and to Jake Eastham for the product photography. Nick was concerned that what had once been a thriving industry had largely been lost and with a grant from the Chalk & Cheese fund he and Liz Copas set out to find the lost apples of Dorset. 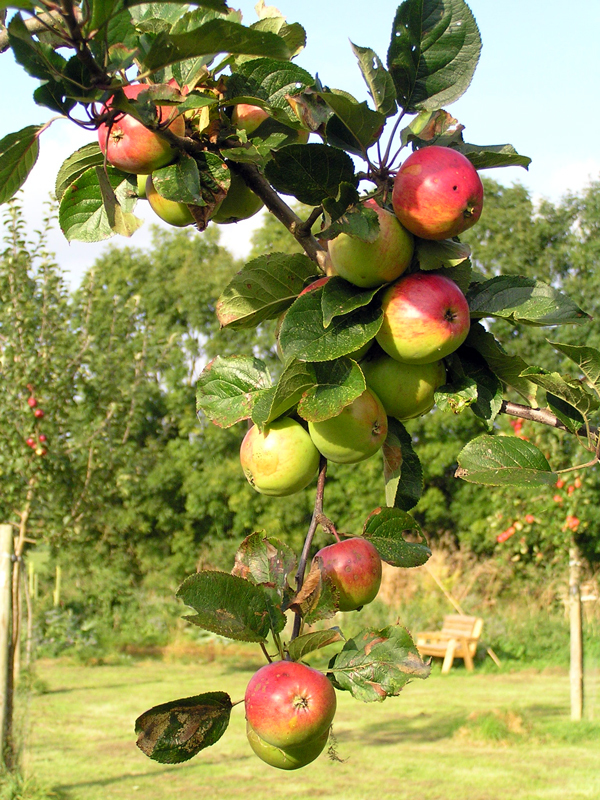 The Dorset Apple Tree Analysis Project, (DATA project) culminated in 21 rare varieties being re-propagated, with new mother orchards being planted at Hincknowle Farm, Melplash by Rupert Best, and at three different locations by the National Trust. There were also many individuals who planted these old varieties in their gardens to ensure they are around for another generation. A new book has been produced by Liz Copas & Nick Poole entitled The Search for Dorset’s Lost Cider Orchards which was launched at the Royal Bath & West Show. It deals with the 5 year investigation into old varieties of cider apples in the county. The book can be ordered through the DATA project web site or from us. The idea of a festival to celebrate the broad appeal of artisan ciders especially those produced locally came into being with the now famous Powerstock Cider Festival. Every year, 30 plus producers donate their cider to the festival and tickets are sold for tasting glasses, raising about £3,000 for charity. It also gives cider makers a chance to meet and be judged by their peers in competition. 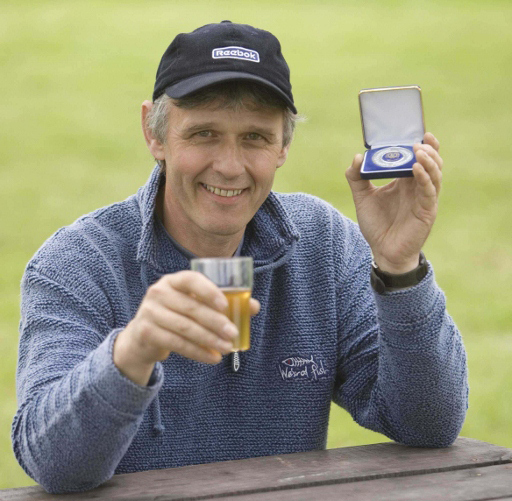 In 2008 Nick was given the Innovation Award Medal by the Royal Bath & West Show for the promotional benefits to the cider industry from this event. The last Powerstock Cider Festival was held in 2017. The Royal Bath & West Show presented Nick with the Lifetime achievement award for services to the cider industry, in promoting cider and especially Dorset cider through the Powerstock Cider Festival. Over £43,000 was donated to local charities from this event over the past 16 years it was held. Read more about the festival in our news area.